Picture courtesy of and © Teresa Proctor. Usual Pattern of Worship at All Saints, Filby. This is subject to change. Our new Priest-in-Charge, the Revd Sue Hemsley Halls was installed on Monday 26th November 2018. We send Sue and her husband, Glyn, a very welcome. 7.30 pm there was a Great Yarmouth Brass Band Christmas Concert at Filby Church. Tickets included a glass of wine/juice and buffet. Broadlands Theatre Group in partnership with Filby Church staged a performance to "Remember 100 year end of World War One" on Friday November 9th in Filby Church. There was also a photographic display of Filby and Thrigby Veterans and their families. The performance raised £1178.00 after expenses. £402 has been donated to the Royal British Legion and £776 for church funds. Many thanks to all who supported the event, to those who took part and to those who helped in any way. The Coffee morning held on Wednesday 20th February raised £243 for Church Funds. Thank you to all who supported it. The next Coffee Morning will be held at the Church on Wednesday 24th April from 10:00 - 12:00. All welcome. There will be no service at Filby this week. There will however, at 10.30 am, be a Joint Sunday Holy Communion at Fleggburgh – All Welcome. 10.30 am Holy Communion – All Welcome. 10.30 am Sunday Morning Worship – All Welcome. However, there will be, at 10.30 am, a Joint Sunday Holy Communion at Fleggburgh – All Welcome. 10.30 am a Joint Sunday Holy Communion at Fleggburgh – All Welcome. 10.30 am Morning Worship – All Welcome. 10.30 am Joint Parish Holy Communion – All Welcome. 11.30 pm Midnight Mass - All welcome. 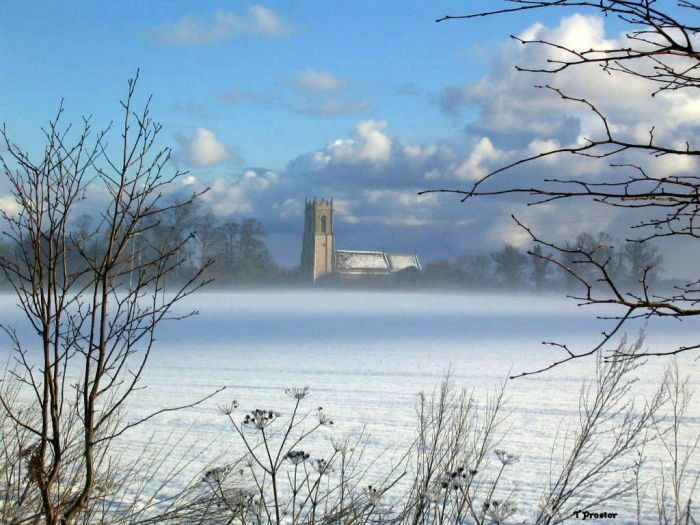 10.30 am There will, however, be a Joint Parish Advent Service at Stokesby – All Welcome. 10.30 am There will, however, be a Joint Sunday Holy Communion at Fleggburgh – All Welcome. 10.30 am Service of Remembrance – All Welcome. 2.00 pm All Souls Service – All Welcome. 10.30 am Joint Sunday Holy Communion at Fleggburgh – All Welcome. There will be 10.30am Holy Communion at Fleggburgh – All Welcome. There will be a 10.30am Holy Communion service at Fleggburgh Church - all welcome. 10 a.m. to 12 noon Coffee Morning in the Church. - All Welcome. 9.00am Holy Communion at Runham. 3.00pm Benefice Harvest Festival at Mautby. 10.30 Benefice Holy Communion at Mautby – All Welcome. There will be no Sunday morning service at Filby this week. 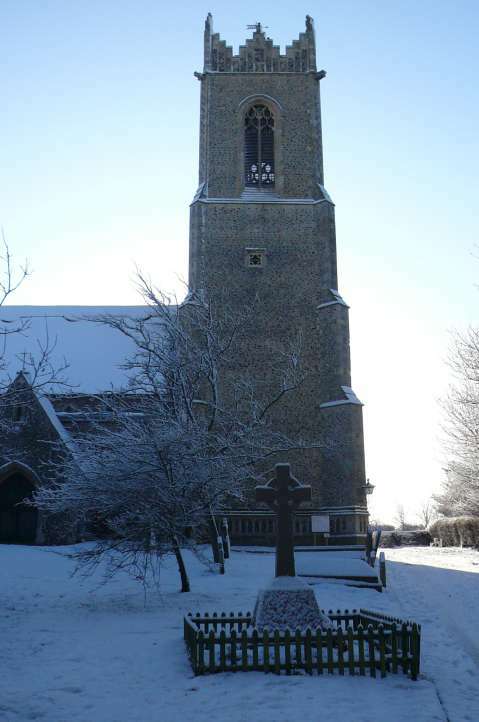 There will, however, be a Filby Association Service at 2.00pm – All Welcome. Benefice 10.30 Holy Communion at Stokesby –All Welcome. However, there will be 10.30 Holy Communion (Joint with Fleggburgh) at Fleggburgh church – All Welcome. There will be no service at Filby this week, there will be 10.30 am Joint Sunday Holy Communion at Fleggburgh – All Welcome. Benefice 10.30 Holy Communion at Mautby - All Welcome. 10.30 am Holy Communion - All Welcome. There will be Holy Communion at Fleggburgh at 10.30 am. - All Welcome. 10.30 am Sunday Morning Worship - All Welcome. There will be 10.30 am Benefice Holy Communion at Runham. There will be 10.30 am Holy Communion at Fleggburgh. 10.30 am Joint Holy Communion, to be held at Fleggburgh – All Welcome. Picture courtesy of and © Joan Saul, December 2009.